Malcolm Earl McCaskill born February 28, 1942 - I go by my middle name Earl. 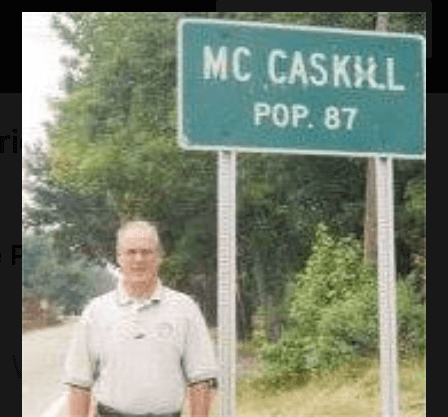 son of Malcolm George McCaskill (b. 1914: d. 1999) and Mary Belle (Hay) McCaskill (b.1921: d, 2017). When the Newsletter was being published before, my mother was a member of the Society, and she had attended a few of the Gatherings (2006, 2008, 2010). married Doreen Parsons in 1967 – celebrated our 50th wedding anniversary last year by going to Ireland/Northern Ireland. I managed to play a round of golf at the Royal Portrush Golf Club, where the 2019 British Open will be held. we have 3 sons: Shawn (Laura Vecchio) and family live in Southlake, Texas. Scott (Heidi Horine) live in Frederick, Maryland. James (Megan McPhee) live in Yarmouth, Maine. I retired from Bell Canada in 1997 after 27 years of service. Claim to fame was that I was a co-leader of a study team, and co-author of a final report, which recommended that the Trans Canada Telephone System (TCTS) go completely DIGITAL in 1975. TCTS was an alliance of the major telephone companies in Canada, and this strategy made Canada a World Leader in telecommunications at that time. live on a small acreage on the outskirts of the town of Almonte, ON – the birthplace of the inventor of basketball, Dr. James Naismith. Doreen and I continue to live in the home we built 38 years ago.